Information about the Griz Read, UM's first-year reading experience. What is the Griz Read? The 2017 Griz Read is Lentil Underground by Liz Carlisle. The purpose of the Griz Read is to provide new students with a common connection through a thought-provoking book. All members of the campus community, especially first-year students, are encouraged to read the book and participate in the Griz Read events and essay contest. Each year, a committee of faculty, staff, and students select a book from nominations submitted by the campus community. UM is delighted to welcome Liz Carlisle, author of Lentil Underground, to campus! She will speak to the campus and Missoula community at 8 PM on 9/21/17 in the Dennison Theater. First-year students are invited to a special Q&A session and lunch with Liz Carlisle, author of "Lentil Underground" from 11AM-1PM in the rotunda of the Payne Family Native American Center on 9/22/17. Stop by the Mansfield Library and pick up your Griz Read button! 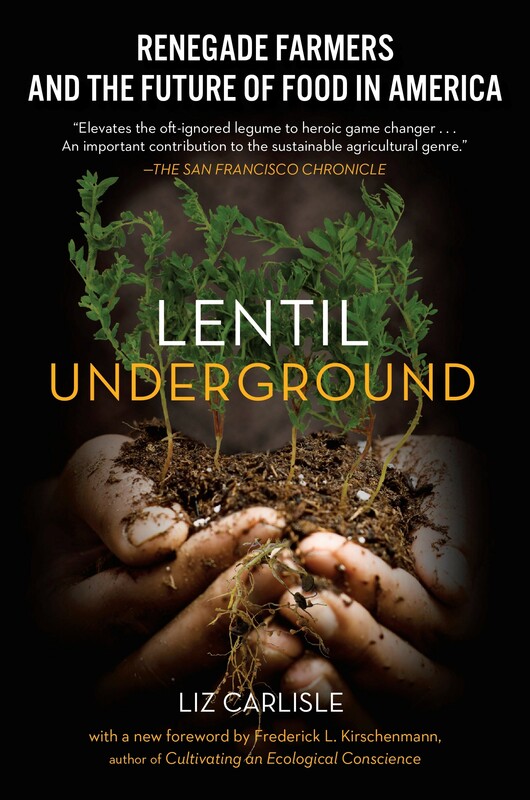 Check out our Lentil Underground displays and related titles in our Popular Reading Collection. Visit Missoula College's beautiful new library to pick up a Griz Read button and check out Lentil Underground read-alikes. Check out Missoula Public Library’s wall of related titles throughout September. Enjoy a cooked lentil demonstration and tasting with Liz Carlisle on 9/20/17 at 6:30 PM in the Missoula Public Library’s large meeting room. First-year students are invited to submit creative artwork (in any medium!) inspired by Lentil Underground. Submissions will be displayed in the Davidson Honors College from 11/6-11/20, and students will vote for their favorite pieces. Winners will receive a cash prize up to $125 and be recognized at a private catered reception in December. Deadline: November 3. If you have questions or comments, please contact Adrienne Alger, chair of the Griz Read committee. As part of the Griz Read, we invite first-year students to submit an essay in response to any of the following prompts. These prompts invite you to engage with the ideas presented in Lentil Underground and to reflect on how those ideas can be put to use. Cash prizes of $125 will be awarded to four writers of the most compelling essays, and the essays themselves (with the authors’ permission) will be posted to the Griz Read webpage. Write an op-ed that convinces people who don't eat lentils to eat lentils, or that convinces restaurateurs like Blu Funk to use lentils in their meals. Your op-ed should use ideas from Lentil Underground and your own ideas to make a case for choosing lentils over conventionally produced grain. Go to one of the farms Carlisle describes and meet the people who keep the farm running. Learn to operate one piece of farming equipment, to weed one row, or to perform some other useful function on the farm. After your time on the farm, eat one meal made up primarily of the crops described in the book. Write about your experience. Write a proposal for your own version of Lentil Underground II that eschews story telling and chronology as an organizational structure. Propose how you might shape your book to highlight the ideas Carlisle investigates—e.g., the nature of conversion, the complications of working against the modern U.S. agricultural system, the challenges involved in navigating the loneliness of doing something different than your neighbors and living in a rural community. Defend conventional/industrial agriculture. Explain to Carlisle and the Timeless Farmers what you think they do not understand. Do so in a way that enlarges their thinking. Propose a solution to the problem alluded to on page 158: create an accounting system that quantifies the net benefit of each crop used in a Timeless-style rotation. You can use both the Montana State enterprise analysis tool and farmers as resources. Because agriculture involves the purposeful disturbance of natural ecosystems, a key challenge is to produce abundant food and fiber while doing the least possible harm to those ecosystems. Ecological agriculture (or agroecology) involves mimicking the strengths of natural systems to address this challenge. Write an essay that convinces a local farmer who doesn’t use ecological agriculture that this approach is preferable and feasible. You can interview farmers and refer to Lentil Underground to investigate and support your argument. Submit a personal reflective essay about your experience reading Lentil Underground. The essay should advance a specific, distinctive claim that connects ideas from the book with aspects of your life. Good essays will be based on striking insights that depend on your unique personal experiences and the ideas in Lentil Underground, but that are also useful or instructive for readers who do not share your personal history. The primary evaluation criterion will be the smart and original engagement of the writing with the ideas presented in Lentil Underground. When the evaluators, who have read the book, read your submission, do they understand your insights and think about the book’s ideas differently as a result? Can they remember your ideas well enough to summarize them to their friends at dinner the night after they read your submission? Do those friends—who also have read the book—then think about the book’s ideas differently as a result of hearing your ideas third-hand? ● Entries are due MONDAY, NOVEMBER 13. ● The contest is open to all first-year students enrolled for the first time at The University of Montana—Missoula, beginning in Autumn, 2017. ● Submissions are limited to one entry per student. ● Submissions should be between 750 to 1250 words. ● Submissions should be given a title and SHOULD SPECIFIY THE OPTION NUMBER CHOSEN. ● The student’s name should not appear on the submitted writing. Attach a separate sheet with a brief biography (100 words maximum), the word count, and the appropriate contact information: name, active email address, phone number. How to submit: Send the submission as an e-mail attachment (in Word document format) to kelly.webster@umontana.edu. Please type “Griz Read Writing Contest” in the message subject line. 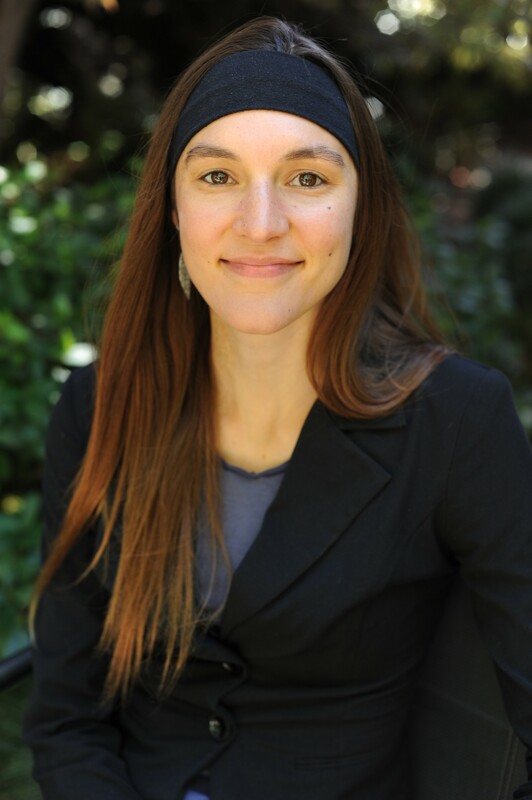 Liz Carlisle is a Lecturer in the School of Earth, Energy, and Environmental Sciences at Stanford University, where she teaches courses on food and agriculture, sustainability transition, and environmental communication. She holds a Ph.D. in Geography from UC Berkeley and a B.A. from Harvard University, and she formerly served as Legislative Correspondent for Agriculture and Natural Resources in the Office of U.S. Senator Jon Tester. Recognized for her academic writing with the Elsevier Atlas Award, which honors research with social impact, Liz has also published numerous pieces for general audience readers, in the New York Times, Los Angeles Times, Business Insider, and Stanford Social Innovation Review. Lentil Underground, which chronicles the sustainable agriculture movement in her home state of Montana, is her first book.